Shurafa Kid's Abaya is a Dual color dress crafted from soft crepe and georgette fabric to make you comfortable wearing it throughout an occasion. - Party wear Abaya with round neckline. - Dual color panels all-round below waist. 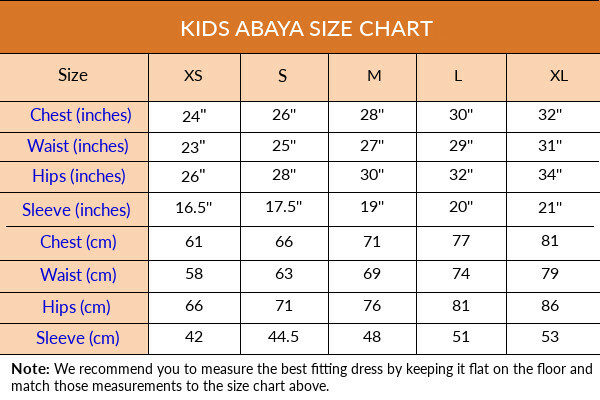 Please check the below description - Hijab, Measurements & Other Important Notes.